This Leaf Jhari Glass Bong is a fine piece of glass art that will take you high! It comes with a socket of 18.8mm diameter, connecting to a bowl on top of it, for placing your herb or tobacco. 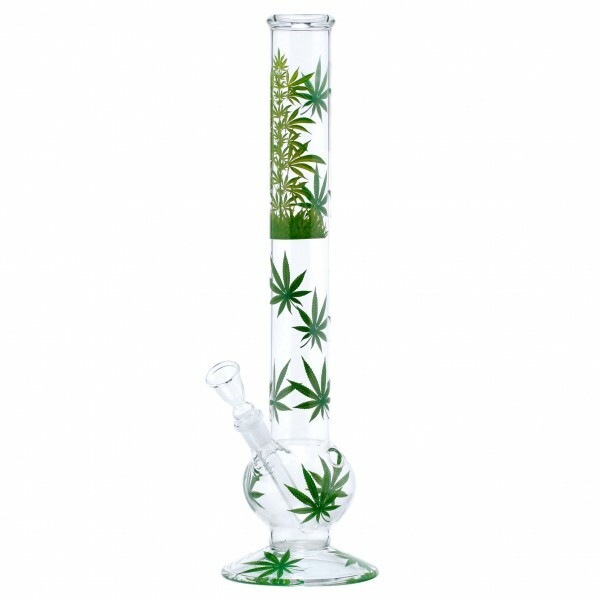 The beaker base tube features some leafs embossed all over it.